This course is intended for advanced-level users who would like to master Excel sophisticated features. 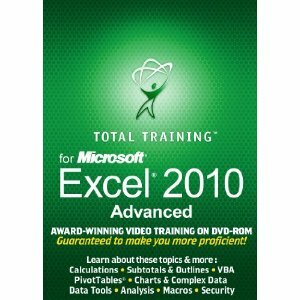 In this course, trainees will learn the advanced features of Microsoft Excel 2010. They will learn how to apply advanced formatting to cells; insert, format, and organize illustrations; display, summarize, and analyze values; automate repeated tasks; and customize interface elements and workbook properties. With the core level, this course covers the entire topics required for the Microsoft Office Specialist (MOS) exam.